Affirmation: My dreams are blessed with love and light. I AM making a wish for my most beautiful dreams. I …. [you fill in the blank for yourself]. Make a Wish! It’s a magical moment. When you make your wish say it in the form of an affirmation. So instead of saying “I wish…”, say it in the present tense. Say, “I AM….”. You are the creator of your wish. Your are the creator of your life. Remember thought + feeling. Think it, see it, feel it! In this very moment I’m am blessing all the wishes and affirmations made from this post with the most golden glowing love, light and faerie dust. So when you say it know my consciousness is blessing it for you too. If you can say it in front of a mirror or something that casts your reflection. Shut your eyes, take a deep breath, release, visualize it, and feel your heart filled with joy and happiness. Open your eyes and shout it out loud! 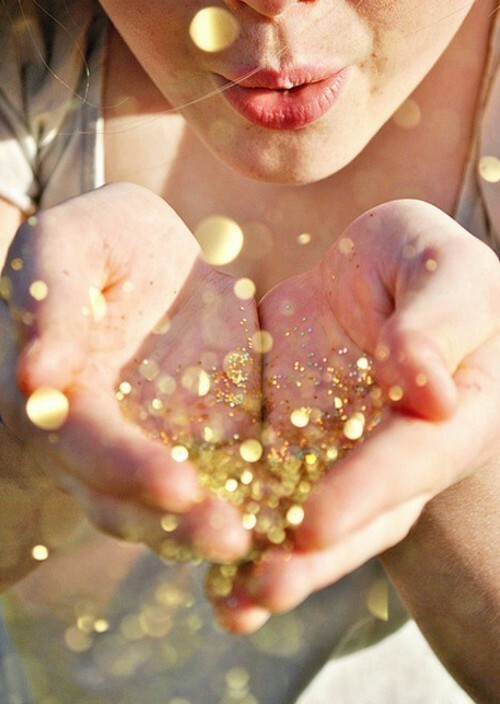 Now let the faerie dust do it’s work! Trust. Believe. Faith. My mom and I have had a lovely time in Palm Springs. We’re on the road again. This time I’m heading north. This entry was tagged affirmations, fairy dust, love, spirituality, wish. Bookmark the permalink.